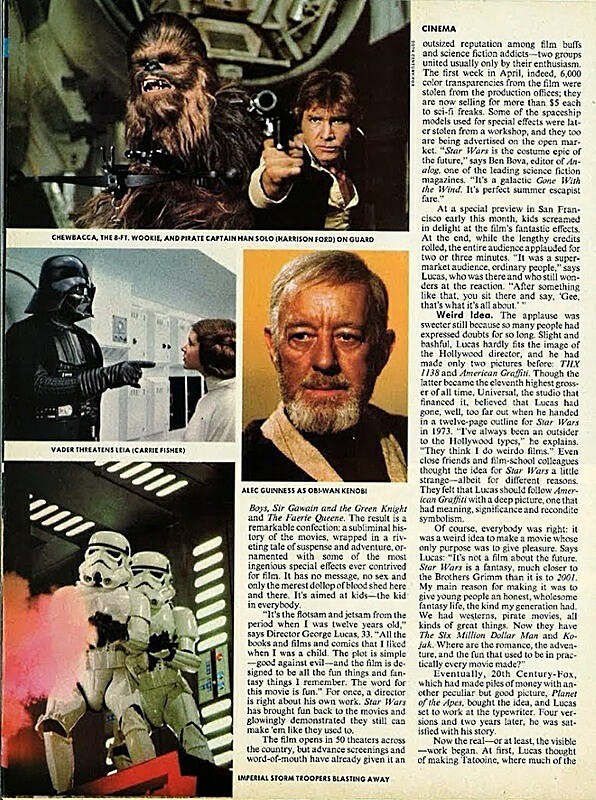 I remember posting an involved (and amusing) essay on the old board about how Star Wars could be viewed as fairy tale, and it included a slew of screen shots I made specifically for that post. I sure wish I'd saved a copy of that post. This thread is pretty anemic for such an important movie. Damn . . . Anyway, here's something amusing to lift the mood a little. 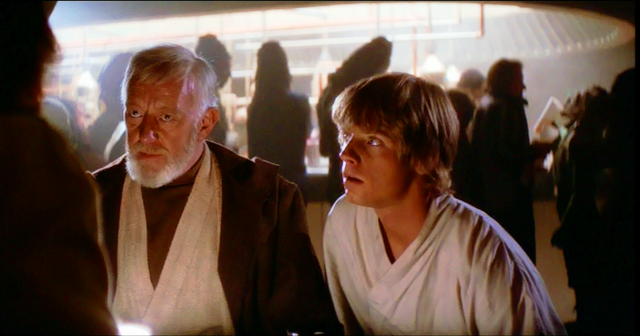 Remember the first time you saw Star Wars, and the cantina scene was like walking into the living room on Christmas morning when you were ten years old? Things have changed in 39 years, and we don't go gaw-gaw like wide-eyed kids at the things that used to dazzle us. Do you ever wonder if there will ever be movie again that will rock your world like this movie did? If the answer is no . . . that's kinda sad. But we can still share our memories of our first viewing of Star Wars. 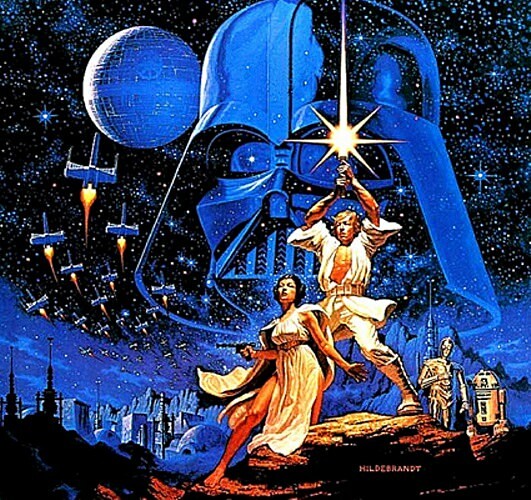 For example, my wife and I flew to New York (free, because I worked for Eastern Air Lines) to see Star Wars, because it was playing there for several weeks before it actually opened in Atlanta, and Johnny Carson was making jokes about the long lines of people at theaters around the country! Star Wars was sweeping the nation, and my wife and I gleefully jumped on the band wagon. So, what are your memories of you "first time", folks? I had read the novilization of the screenplay by "George Lucas" ( Actually by "ghost" Don Glut ) and seeing some of the McQuarrie production paintings. I thought that if the film was as exciting as the book I just HAD to see it! The movie opened on Canada a few weeks before in the US so I trekked to Toronto to see it. It was an awesome experience and I've enjoyed the Star Wars phenomena since. Our two Star Wars "first time" stories are like thousands of others, each with it's own unique details, but all demonstrating just how wonderfully crazy this euphoric fade really was. It's amazing to me, in retrospect, how little I knew about STAR WARS in advance. Though I was a pretty regular moviegoer in those days I'm almost positive that I hadn't even seen the trailer. 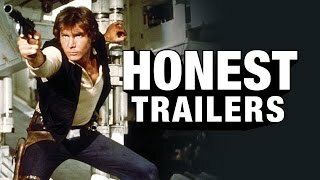 Most old-timers say that they had seen that trailer and were all hepped-up to see the movie. Not me. I subscribed to Variety in those days, and I knew that George Lucas (at the time, he was "the guy who made AMERICAN GRAFFITI") was making an s-f film. I remember the series of titles the movie went through, as listed in Variety's Production Chart. Each title seemed sillier than the last one. Things like ADVENTURES OF A STAR-KILLER and ADVENTURES OF A SKYWALKER. Based purely on the titles, I was not hopeful or even very interested. But, despite my ignorance and disinterest, I still managed to see it at the first showing on the day it opened, May 25, 1977, only because my girlfriend was, as usual, running late. We were going to go see some movie (can't remember what) that afternoon. I was in the living room, waiting. She was in the bedroom, primping. I heard the mailbox clang outside and went out to get the mail. 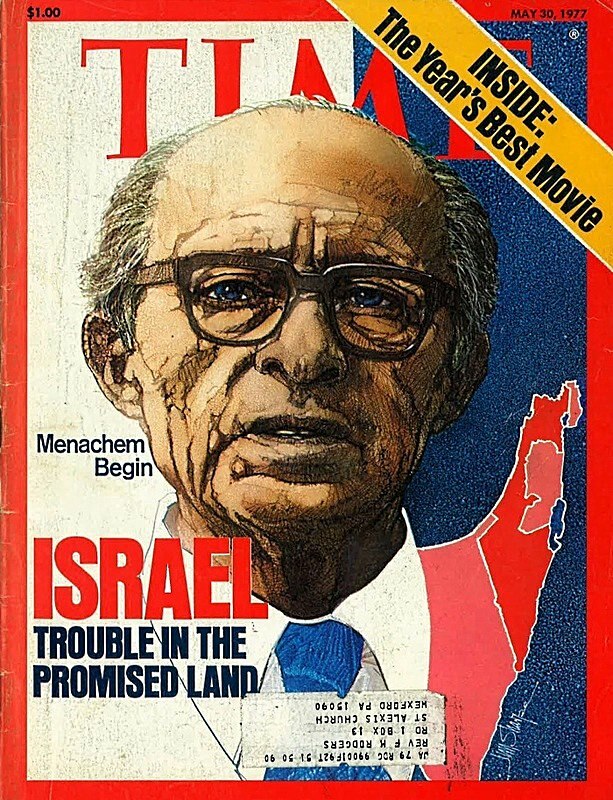 There was my subscription copy of TIME magazine. In the upper right-hand corner of the cover was a little banner reading "The Year's Best Movie!" 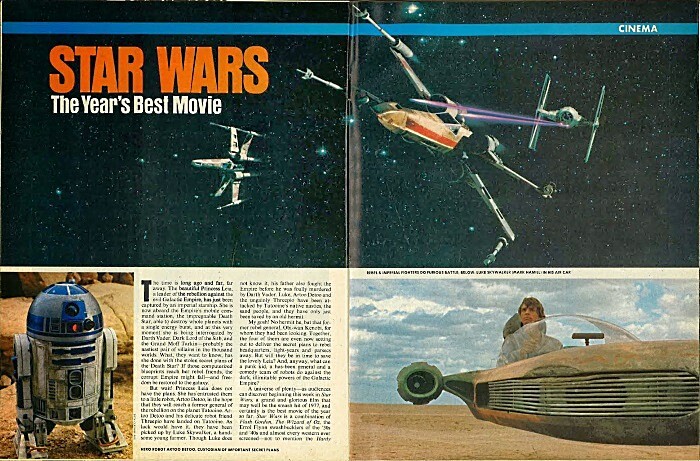 I flipped to that story and found a two- or four-page article on STAR WARS. I skimmed the article which huffed and puffed about how much fun the film was, that it was Flash Gordon for the seventies, etc. I yelled out to my g.f., "how about if we saw a different movie?" "Uhh, TIME says it's the year's best movie." "There's a great article here..."
"Rick, what is the movie called?" She stuck her head out of the bedroom and said, "Oh, Rick, no..."
Another pause, big sigh, "Oh, okay." And thus I saw STAR WARS in a theatre that was no more than half-filled. So I guess "the word" had eluded not just me, but most of Louisville Loved it, of course, and it's a great movie-going memory. I remember vividly the day I took a break while working as a baggage handler for Eastern Air Lines and went inside the terminal. I saw that issue of Tiime magazine at stand and started looking at it. I was stunned. This movie was a dream come true. One night shortly thereafter I heard Johnny Carson deliver the first joke in his monologue by waiting for the cheering crowd to settle down and then saying, "Come on, admit it. You'd rather be in line to see Star Wars." The crowd erupted again. The DJ's on Atlanta's most popular radio station — WQXI, "That's Quixi in Dixie!" — said the music was terrific in this new movie, but they couldn't play it because it was a Top 40 station! A friend came back from a trip to California, and he'd seen Star Wars. He told it was absolutely amazing. And all this happened over a period of four weeks, because Star Wars didn't open in Atlanta until June 29 — after it's premiere on May 25! I looked it up, and that's even longer than I had thought. Amazingly enough, it didn't open until August 5th in over 1,044 theaters, the last group to get it! So, that's why my wife and I finally got tired of waiting, and we got employee passes so we could fly to New York, where a friend who lived there picked a fancy theater for us to see Star Wars in. It had stadium seating and a terrific stereo sound system. It was a 70mm print too, so I got one helluva first look at Star Wars. When Star Wars finally opened in Atlanta, I talked a friendly projectionist into letting me take my Sony 230 Stereo Center into the projection booth and make a reel-to-reel audio tape of the movie, tapping directly into the sound system. A few weeks later I took the recorder to the 1977 ComiCon in Atlanta and played it at a vendor's table just to attract customers. 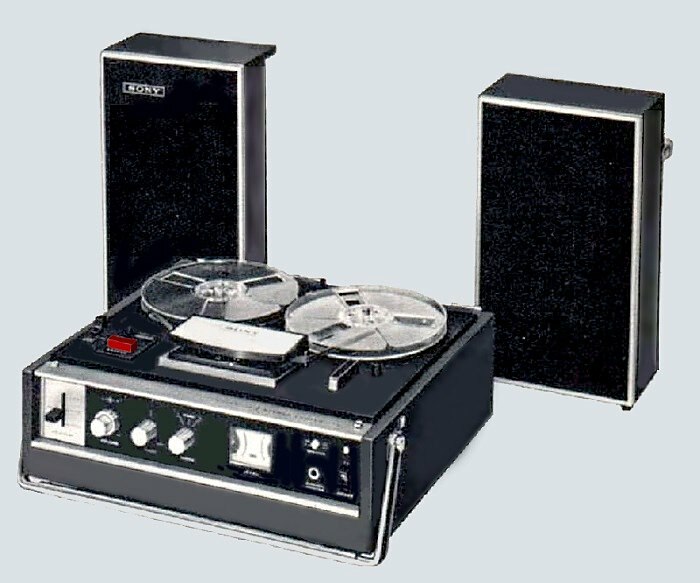 Inferior recordings on cassette tapes were being sold all over the vendor's room, but I wasn't selling copies of mine. However, I met about 20 people that day who became friends, and they were given copies in the weeks to come. In the months after that I met other people who loved Star Wars, many of whom had acquired third-and-fourth generation copies of my original. It became a sort of game, tracing the lineage of the tapes, like a family tree. "I got my copy from Brian, who got his from Richard, who got his from a guy name Rod." "Ah-ha. Rod got his from my original reel-to-reel recording. Let's upgrade yours, shall we?" I was impressed by NEW HOPE, the 1st movie, but my interest faded as the muppet count increased over the next 2 installments. Then Jar Jar Binks came along, and that was enough to convince me that I needn't waste my time on STAR WARS any longer. As for really impressive movies, however, I have never seen anything that comes close to 2001- A SPACE ODYSSEY. It's a true work of cinematic art. Speaking of recordings, the audio drama (note that I didn't say audio BOOK) is really great. The original 3 episodes are all available, and probably total at least 10 hours in length. They're perfect for long car trips. All Sci-Fi's section called Sci-Fi Radio Programs included links to all three NPR radio adaptations when I first created that section in 2014, but when I looked for them just now to post the links here, I discovered they were gone, and I remembered that the Youtube versions had been removed a year ago, forcing me to delete the links here as well. However, I have my original reel-to-reel recordings made directly off the radio when they first aired, as well as cassette copies that I, too, love to listen to during long car trips. And I've also got three VHS tapes which contain the series, copied from the CD's a friend of mine made for me several years ago. 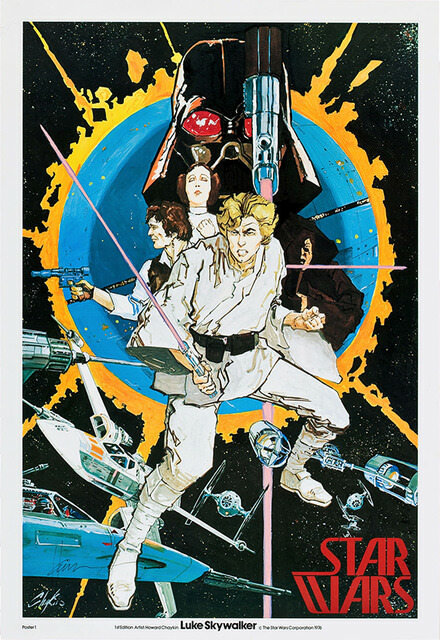 A New Hope is over six hours long, while Return of the Jedi and The Empire Strikes Back are about four hours each. That's almost 15 hours total! If you encounter Youtube links which no longer work, please PM me so I can replace the links or remove the show's listing. After it opened in the US I took my then 7 year old son to see it. Usually a very fidgity movie viewer he stared awestruck at the screen and didn't move or speak through the whole showing. When it was over and the lights came up he turned to me and quietly said "Can we see it again?". In those days you just stayed in your seat and they recycled the movie. We stayed again, watched it, and rode home retelling the story to each for the rest of the day. 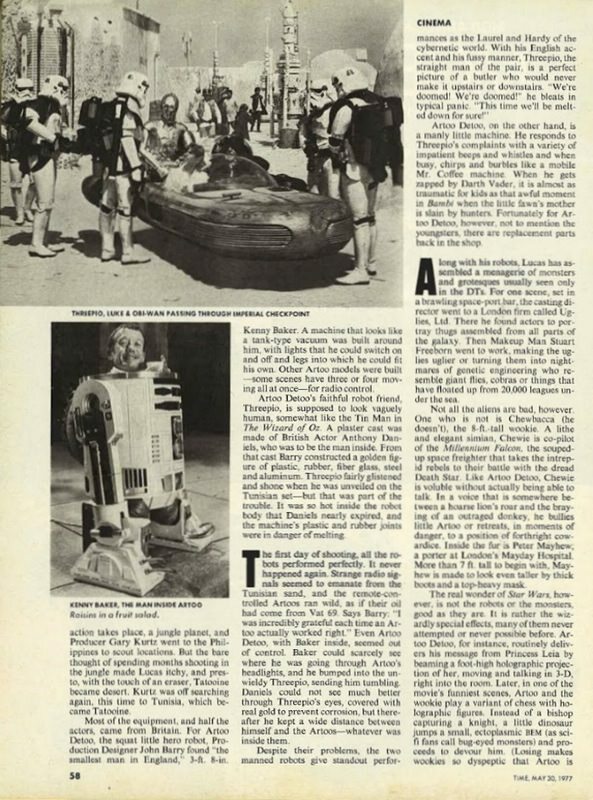 My initial exposure to Star Wars was at the 1976 San Diego Comic-Con prior to production. 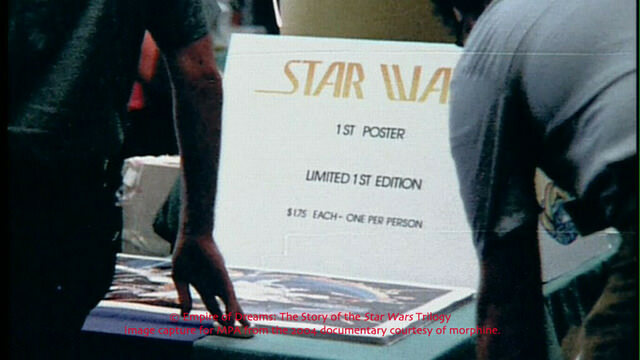 The modest Star Wars table was selling Howard Chaykin's promotional posters ($1.75) in an effort to drum up interest in the movie. This was before they started using likenesses of the actors on the posters. The posters must not have been a big mover, as I got one handed to me free on my way out the door on the last day. The rolled poster came with a single sheet of goldenrod mimeographed paper wrapped around it, summarizing the movie's plot in typed text (that is to say, typed on a typewriter) ─ no illustrations, other than the poster itself. 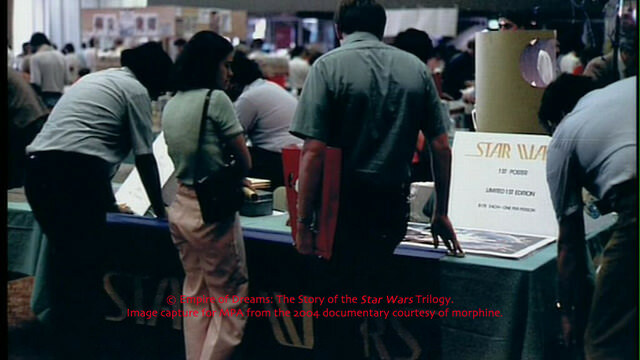 Then in 1977, about the time SW had just been released, I attended the World Science Fiction Convention in Tucson. There I overheard others, who had already seen the movie, talking about it in rave terms. That made up my mind for me to go see the movie. What the heck? I've never seen a Star Wars movie. I made several attempts to watch the first one but I've never made it past the first 20 minutes before being bored out of my skull. I finally gave up. Since I can't watch the first one, I've had no interest in trying to watch any of the others. I'd be surprised by that comment if it weren't for the fact that (a) you've told us that before, and (b) your taste in movies and TV series is very different from mine. — the Falcon's first jump to hyperspace. Oddly enough, what helped the scene be so exciting was the quick shot that followed it, showing the Falcon zipping away from the camera, with the star field rotating and making us all feel dizzy! It was a ridiculously simple FX . . . but it dazzled the world! It prompted gasps of surprise from the audience, and when The Empire Strikes Back came out, it teased the audience several times by pretending to repeat the scene, only to have the Falcon's hyperdrive malfunction! My point is this: can you even remember why this scene thrilled you so much back then, in view of the way we've all become so jaded now? 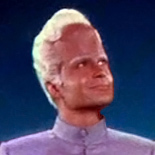 Just to put things in perspective, Brent Gair's fond childhood memories of Lost in Space are so vivid that he adores that series today and has become an avid collector of LOS memorabilia . . . but the first time he tried to watch Star Wars years later, he couldn't even get through the movie, and he's never watched any of the sequels! I'm not criticizing Brent. I'm commenting on the way we all change over the years. It isn't something we can avoid, I'm sorry to say. This is true for any movie or TV series. We all have to be at just right age to see the merits (and be blind to the glaring flaws) of the movies and shows we watch. After that magical period in our lives has slipped past, we've lost the ability to appreciate these experiences the way we would have if we'd seen them at the right time. The really sad thing about all this is that even for the lucky folks who saw these cinematic classics at just the right time, our appreciation for them still tends to dwindle as the years go by, and we end up enjoying the memory of our love for them, even though we can't get the same enjoyment from watching them again. It was a ridiculously simple FX . . . I had been wondering about that. I must admit, though, you had me going. It's release was the day the world changed. EVERYTHING would be different after STAR WARS.